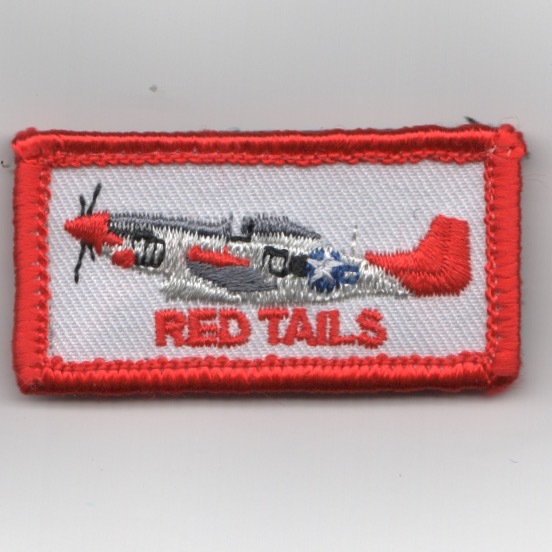 This is the white, twill version of the Flight Suit Sleeve (FSS)/Pencil Pocket Patch (PPP) worn on the piece of velcro on the left sleeve of the flight suit for the Tuskegee Airman 'Red Tails'. This patch already has velcro on it. This is the black, twill version of the Flight Suit Sleeve (FSS)/Pencil Pocket Patch (PPP) worn on the piece of velcro on the left sleeve of the flight suit for the Tuskegee Airman 'Red Tails'. This patch already has velcro on it. 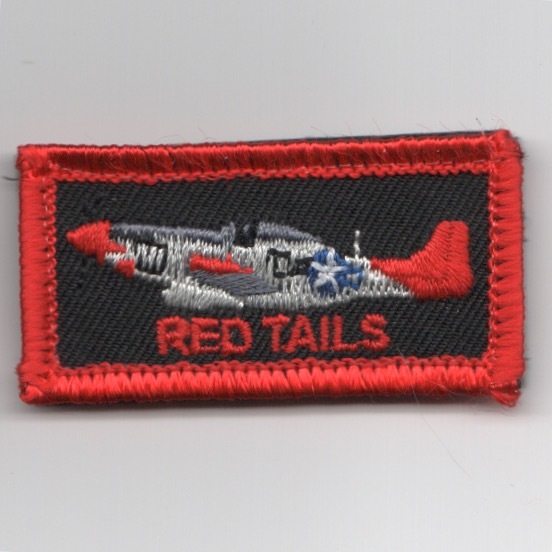 Use this link to get both 'REDTAILS' patches shown above at a discount. This is the Flight Suit Sleeve (FSS)/Pencil Pocket Patch (PPP) worn on the piece of velcro on the left sleeve of the flight suit. 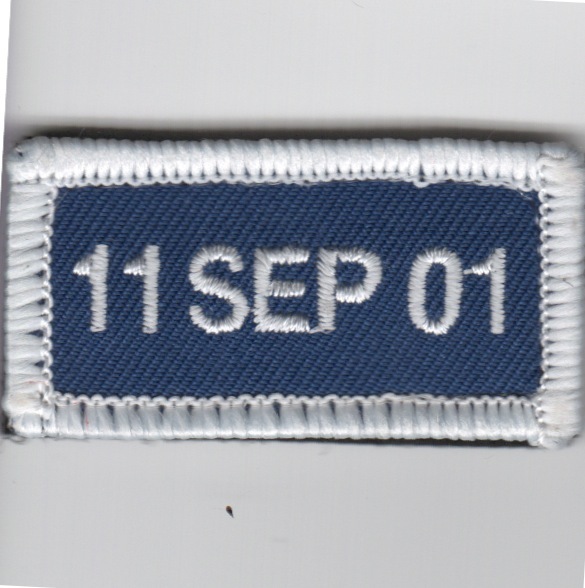 This is the blue/white version and has "11 SEP 01" on it --- may we NEVER forget! This patch already has velcro on it. This is the Flight Suit Sleeve (FSS)/Pencil Pocket Patch (PPP) worn on the piece of velcro on the left sleeve of the flight suit. 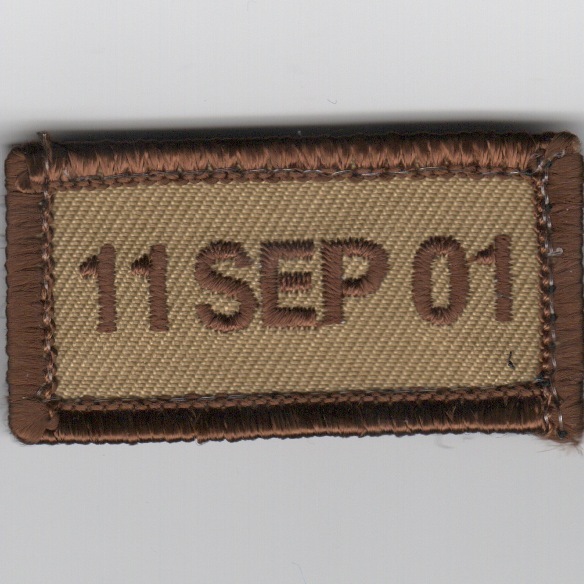 This is the desert version and has "11 SEP 01" on it --- may we NEVER forget! This patch already has velcro on it. This is the Flight Suit Sleeve (FSS)/Pencil Pocket Patch (PPP) worn on the piece of velcro on the left sleeve of the flight suit. 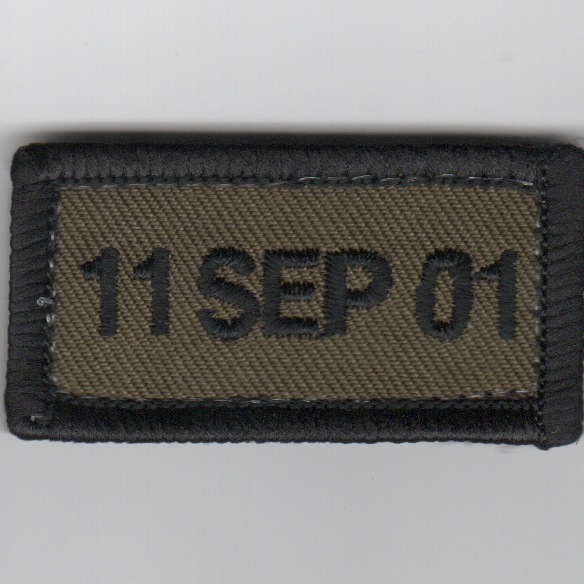 This is the subdued version and has "11 SEP 01" on it --- may we NEVER forget! This patch already has velcro on it. Use this link to purchase all three of the FSS patches. This is the black version of the Flight Suit Sleeve (FSS) or Pencil Pocket Patch (PPP) for flightsuits. 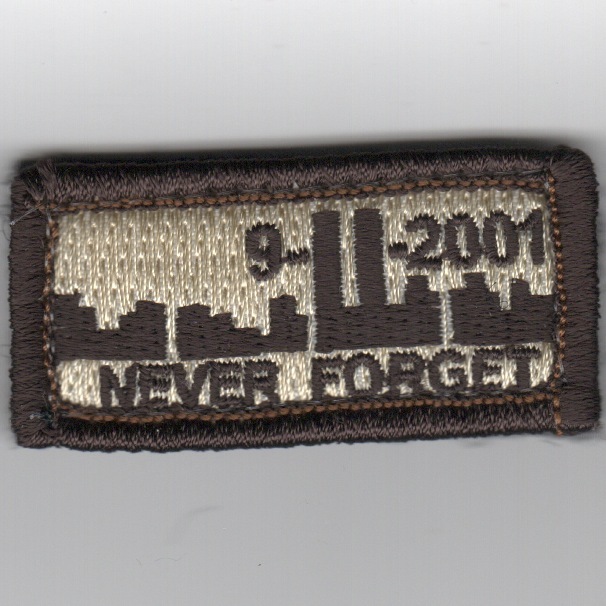 It has "9-11-2001" on it and says "NEVER FORGET"! This patch already has velcro on it. This is the desert version of the Flight Suit Sleeve (FSS) or Pencil Pocket Patch (PPP) for flightsuits. 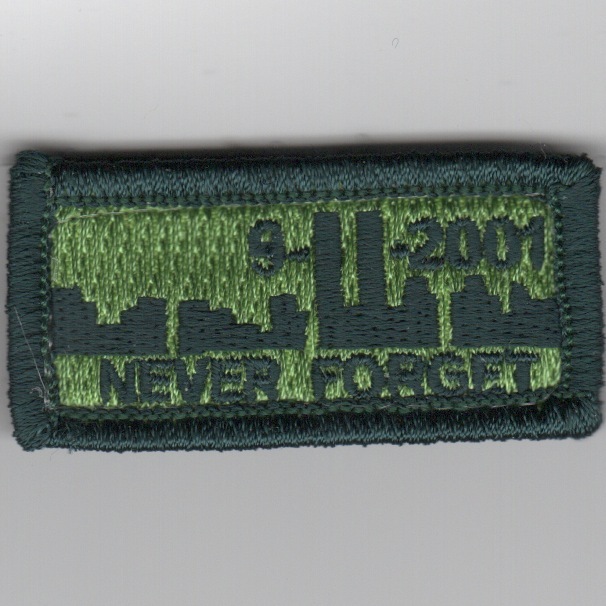 It has "9-11-2001" on it and says "NEVER FORGET"! This patch already has velcro on it. This is the subdued green version of the Flight Suit Sleeve (FSS) or Pencil Pocket Patch (PPP) for flightsuits. 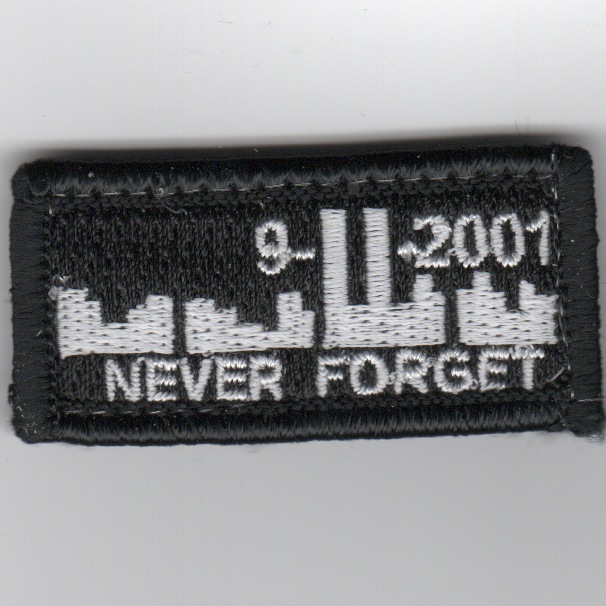 It has "9-11-2001" on it and says "NEVER FORGET"! This patch already has velcro on it. 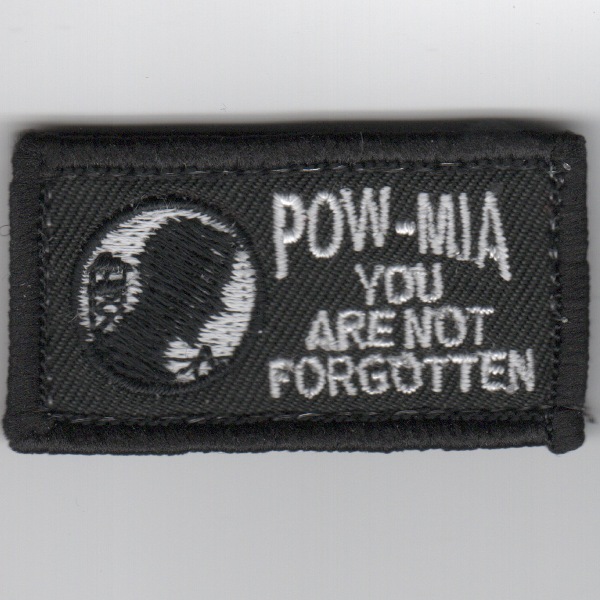 This is the black version of the standard POW/MIA logo and says "You Are Not Forgotten". This patch comes with velcro already attached. 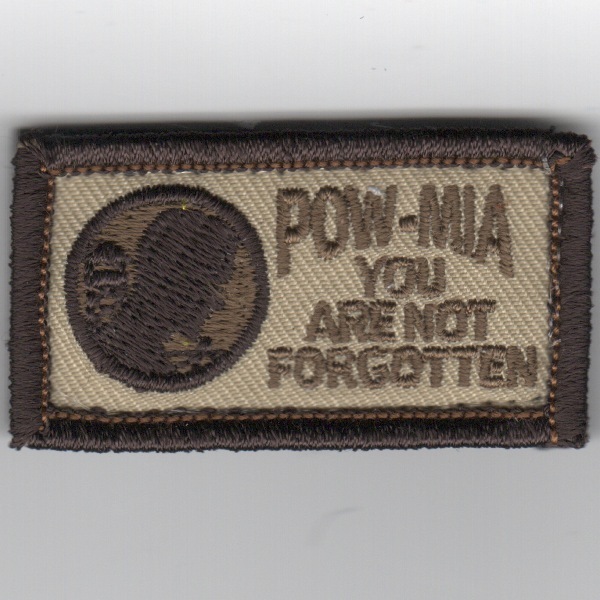 This is the desert version of the standard POW/MIA logo and says "You Are Not Forgotten". This patch comes with velcro already attached. 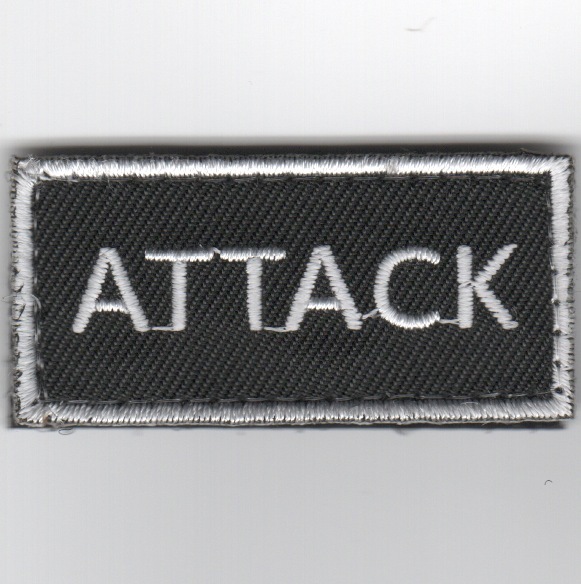 This is the black version of the "Pencil Pocket Patch" for those with the ATTACK mission. It comes with velcro attached. 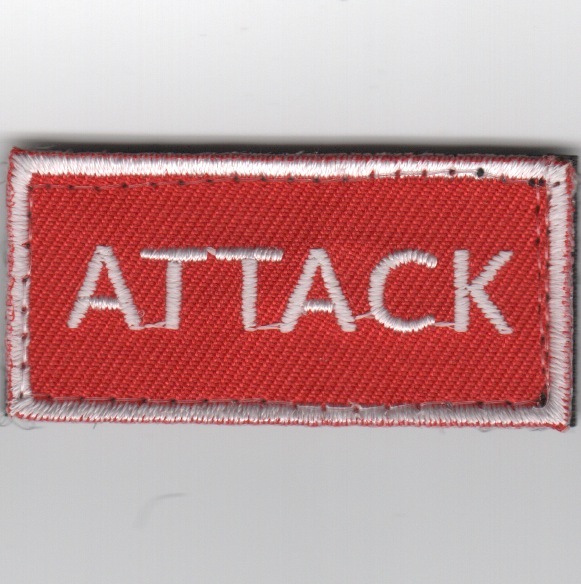 This is the red version of the "Pencil Pocket Patch" for those with the ATTACK mission. It comes with velcro attached. 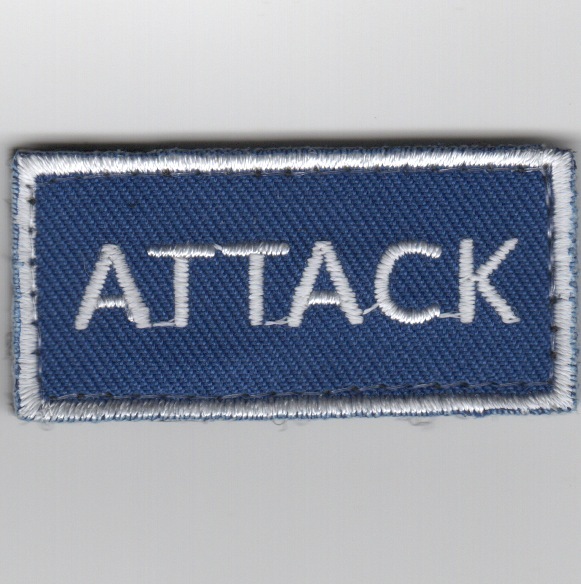 This is the blue version of the "Pencil Pocket Patch" for those with the ATTACK mission. It comes with velcro attached. 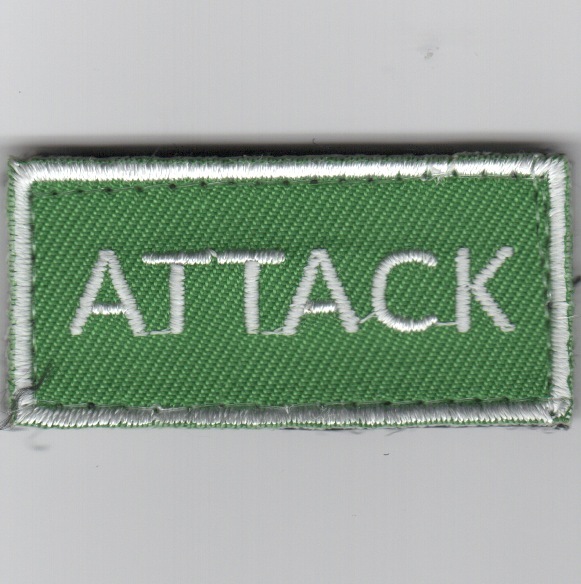 This is the green version of the "Pencil Pocket Patch" for those with the ATTACK mission. It comes with velcro attached. 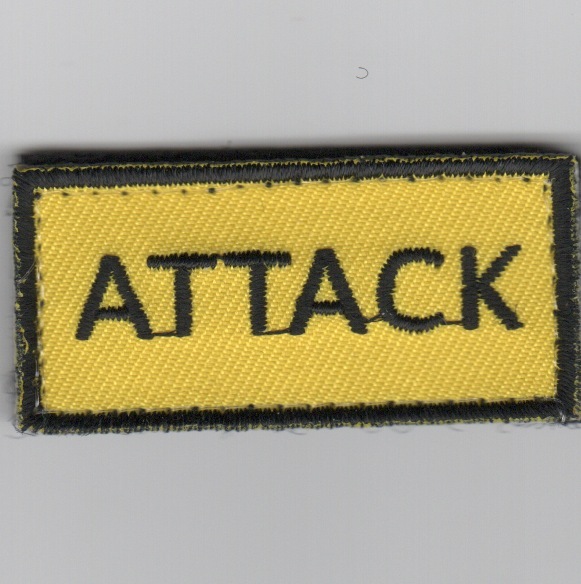 This is the yellow version of the "Pencil Pocket Patch" for those with the ATTACK mission. It comes with velcro attached. 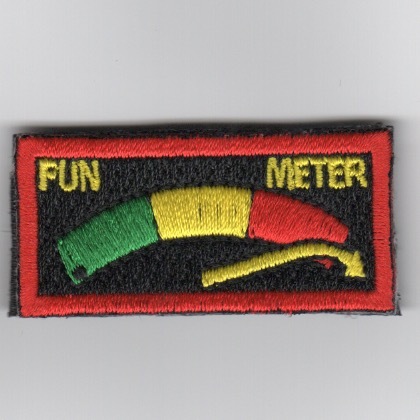 This is the Friday patch worn on the left flight suit sleeve of aircrew to indicate the atmosphere of the squadron (usually satirical). This patch does not come with velcro attached. This is the red/black/green version of the "pen tab" patch worn on the left sleeve of the flight suit for pilots that fly the F-16 Viper for the IA Air National Guard out of Des Moines, IA. This patch does come with velcro attached. This is the desert version of the "tab" patch worn on the left sleeve of the flight suit for pilots that fly the F-16 Viper for the IA Air National Guard out of Des Moines, IA. This patch does not come with velcro attached. This is the AGE or Aircraft Generation Equipment patch. This patch comes with velcro attached.